Complete pack of everything you will need to build your own JAM Systems S118 bass cabinet. The JAM Systems S118 subwoofer cabinet has been designed to offer astonishing high performance for your low frequencies. A compact footprint enclosure to deliver maximum output from its size, the S118 runs down to 40Hz to deliver that all-important earth-shaking rumble to your mix, with a performance usually only achieved with larger subwoofers. With a reflex design for maximum versatility, the S118 is the ideal solution for beefing up your bottom end, and to take the strain off your mid-highs to let them do what they do best. 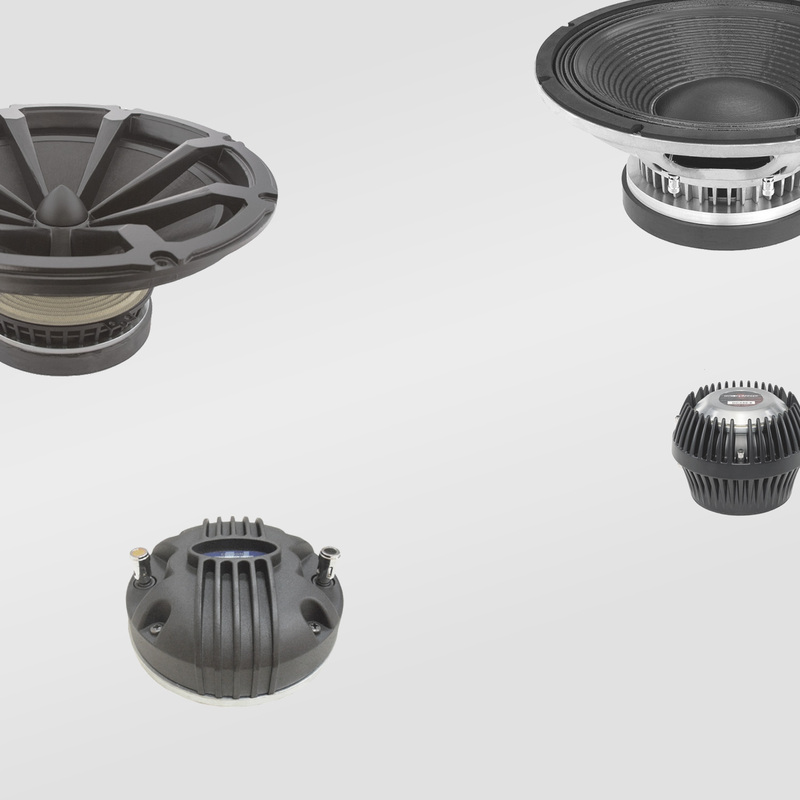 Four different driver options are available, for a peak calculated SPL output of 137dB (131dB continuous, based on the 1200W Fane Colossus Prime 18XS). The JAM Systems S118 is available in all stages of completion to cater for all skill levels and budgets, from a flat-panel kit for you to assemble from scratch, to an assembled kit for you to fill, sand and finish to a fully finished and painted box, ready for you to load up with the driver option of your choice. 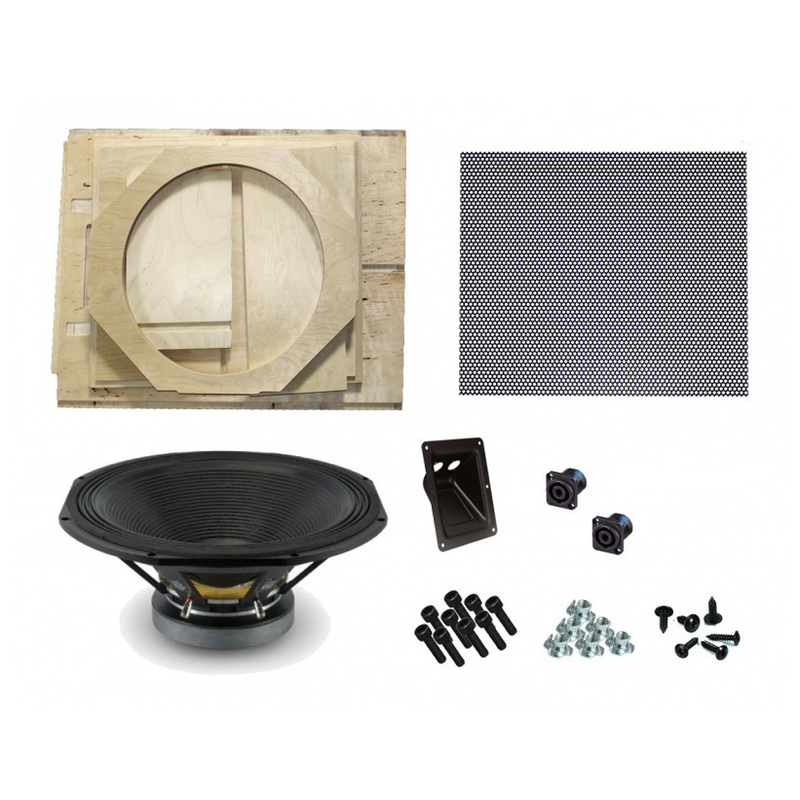 This is a complete flatpack kit to build the cabinet for the JAM Systems S118 speaker. 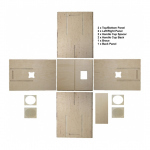 This is a flatpack kit that has been CNC cut using high quality birch ply suitable for speaker cabinet assembly. Assembly does require a reasonable level of woodworking ability, and appropriate tools. Ideally you should have: 1 x Belt Sander, 1 x Nail Gun (Electric or compressor powered) and 1 x Router with roundover bit. It is possible to assemble with alternative tools, but it will be harder and take longer. 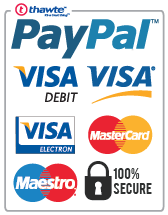 It is assumed you have standard tools such as a cordless battery drill, drill bits, etc. Assembly instructions will be published in due course. Finished cabinet dimensions (H x W x D): 512 x 580 x 753mm.